Lu Ann Ervin '84 named the Texas A&M Foundation as the primary beneficiary of her life insurance policy. 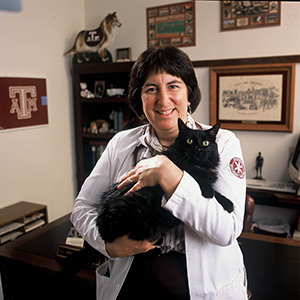 Lu Ann Ervin, DVM '84 is dedicated to providing outstanding care to the large and small patients at her business, Texas Animal Medical Center in Waco. 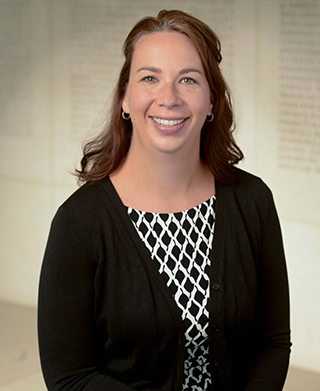 Because she credits Texas A&M University's College of Veterinary Medicine with honing her veterinary skills and enabling her to create a successful practice, Ervin named the Texas A&M Foundation as the primary beneficiary of her life insurance policy. Ervin: "You get away from the hassles of (probating) the will. With a life insurance policy, there are no questions about it. It goes to the Texas A&M Foundation on behalf of Texas A&M ." By listing the Foundation as the insurance policy's beneficiary, the donor retains ownership and has access to the policy's cash value. Using this form of planned giving can be especially meaningful because the policy's proceeds are paid promptly without going through the time-consuming process of probate. Although the face value of the policy will be included in the donor's gross estate, any tax liability arising out of the inclusion will be offset by a charitable estate-tax deduction. The proceeds from this particular policy will create the Lu Ann Ervin, DVM '84 Endowed Enhancement Fund, which will be used for the greatest need as determined by the College of Veterinary Medicine's dean and executive board. Ervin's planned gift reflects her commitment to her alma mater, which she dreamed of attending since she was in third grade. Ervin: "Being at Texas A&M was more than I ever thought it would be. You learned that your future is your own, and that you have the opportunity to study and make something of yourself."